Exploring beautiful gardens connected to the world at large. Since 1976 Pacific Horticulture Society (PHS) has been sharing stories in our quarterly publication Pacific Horticulture, a trusted resource for West Coast gardeners, designers, and horticulturists whose work adds beauty and inspires environmental stewardship. In everything we do, our goal is to foster curiosity and respect for natural systems—pollinators and insects, the preservation of healthy soil, and the impact of a changing climate. Our contributors are knowledgeable, experienced, and have their hands in the dirt. Join our community to keep up with our latest content, in print and online, and you’ll also receive discounts on our superior educational programs and inspiring garden events, as well as reduced pricing on international and domestic PHS tours. Pacific Horticulture is a trusted resource for West Cost gardeners, designers, and horticulturists whose work adds beauty and inspires environmental stewardship. All of our content – in print and online – encourages readers to engage with the landscape, manage resources responsibly, and choose region-appropriate plants within a framework of good design and beautiful gardens. Our goal is to foster curiosity and respect for natural systems—pollinators and insects, the preservation of healthy soil, and the impact of a changing climate. 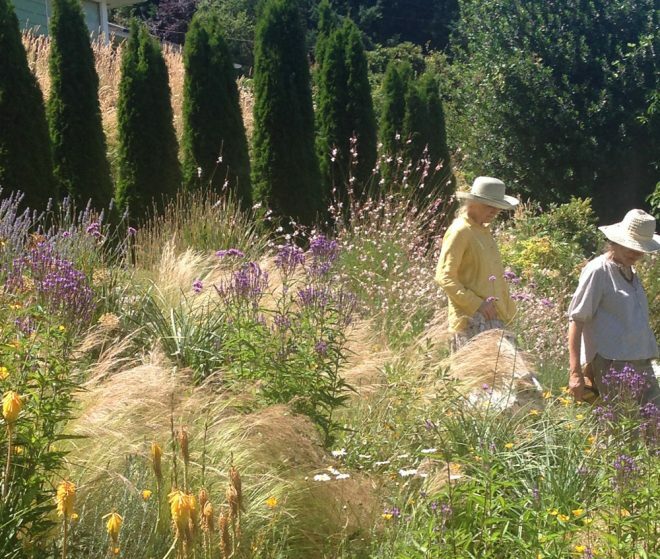 Our contributors are knowledgeable and experienced gardeners who have their hands in the dirt.